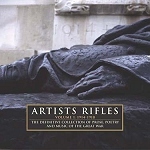 Artists Rifles is an audio anthology of poetry and prose from the Great War, read by the poets and writers themselves. The spoken word readings are interspersed with music by British composers who served in the conflict and wrote in memory of it. To read the full tracklist and liner notes please continue scrolling down the page. This popular 75 minute CD closes with the only known recording of an ordinary soldier describing his experiences while the conflict was still in progress. To order CD please select correct shipping option and click on Add To Cart button. 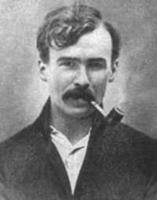 George Kaye Butterworth (1885-1916) was educated at Eton and Oxford, and displayed a keen interest in folk song and dance. In September 1914 Butterworth and several friends enlisted in the Duke of Cornwall's Light Infantry, where he was soon selected for officer training and gazetted to the Durham Light Infantry. In August 1915 his battalion crossed to France, and in July 1916 took part in the Battle of the Somme. 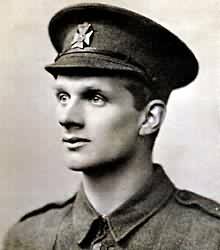 There Butterworth was awarded the Military Cross, but was killed on 5 August during a successful attack on Munster Alley trench near Pozieres. His temporary grave was lost, and therefore his name appears on the Memorial to the Missing at Thiepval. His loss was a great tragedy for English music. So far as is known Butterworth wrote no new music after joining the army, and instead devoted his energies exclusively to military matters. English Idyll No. 2 is a slow and reflective piece written in 1911, and evokes a countryside and landscape as yet undarkened by the stormclouds of war. 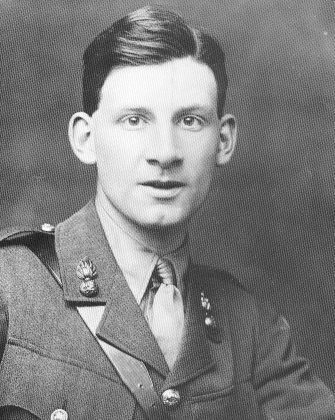 Siegfried Lorraine Sassoon (1886-1967) is one of the major English poets of the Great War. Educated at Marlborough and Cambridge, Sassoon published several volumes of poetry privately between 1906 and 1912, and in August 1914 joined the Sussex Yeomanry. After taking a commission in the Royal Welch Fusiliers he saw active service in France at various times between November 1915 and July 1918. A keen hunter of Germans, Sassoon earned the sobriquet 'Mad Jack' as well as a Military Cross, but threw his award into the River Mersey after becoming disenchanted by the manner in which was war was being conducted. After a period of treatment at Craiglockhart War Hospital in Edinburgh (where he met and mentored Wilfred Owen), Sassoon rejoined his battalion in May 1918 but was wounded for the second time. In addition to the war poetry collected in The Old Huntsman (1917) and Counter Attack (1918), Sassoon produced three volumes of prose autobiography which touch on the war: Memoirs of a Fox-Hunting Man (1928), Memoirs of an Infantry Officer (1930) and The Weald of Youth (1942). 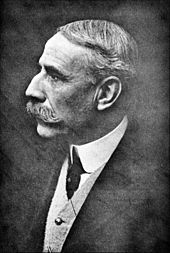 The leading English classical composer of the age, at 57 years of age Edward Elgar (1857-1934) was too old for military service, but sat on the governing committee of the United Arts Rifles, and was always ready to serve King and Country through the medium of music. This dramatic setting of Carillon by the Belgian poet and playright Emile Cammaerts became an instant bestseller at the beginning of 1915. Later war works included The Spirit of England and Fringes of the Fleet. Best of all is his Cello Concerto of 1919, whose spare orchestration and plangent cadences clearly reveal the disillusioning influence of the war years. However Elgar's view was somewhat skewed. In August 1914 he wrote to his friend and benefactor Frank Schuster: "Concerning the war I say nothing. The only thing that wrings my heart and soul is the thought of the horses. Oh! my beloved animals. The men and women can go to hell, but my horses... I walk round and round this room cursing God for allowing dumb brutes to be tortured. Let him kill human beings but how CAN HE? Oh, my horses." Fastidious outsider Maurice Ravel (1875-1937) spent two years as a driver with the French artillery before succumbing to frostbite. His war experience informs Le Tombeau de Couperin (1917), a suite for piano in six parts each dedicated to the memory of a fallen friend. The Prelude included here is dedicated to Jacques Charlot. 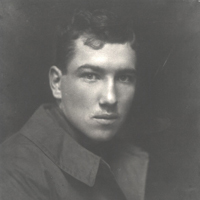 Together with Sassoon, Blunden and Owen, Robert Graves (1895-1985) is recognized as one of the leading Great War poets, and in addition made a further significant contribution to the literature of the conflict with his controversial memoir Goodbye to All That in 1929. Graves joined the Royal Welch Fusiliers when war broke out as a means of escaping the moralistic confines of his family, and crossed to the Western Front as a subaltern in May 1915. Critically injured by shrapnel at High Wood in July 1916, he was reported 'died of wounds' and read his own obituary in the Times on his twenty-first birthday. Graves went on to publish three volumes of war poetry (Over the Brazier, David and Goliath, Fairies and Fusiliers), and in peacetime juggled an enviably colourful personal life with a career a historical novelist, academic and poet. In later years Graves tended to disparage his own war verse, hence Dawn Bombardment from 1938 is probably as close as we can hope to get to a reading by Graves of such a poem, although here the warfare described is emotional in character. 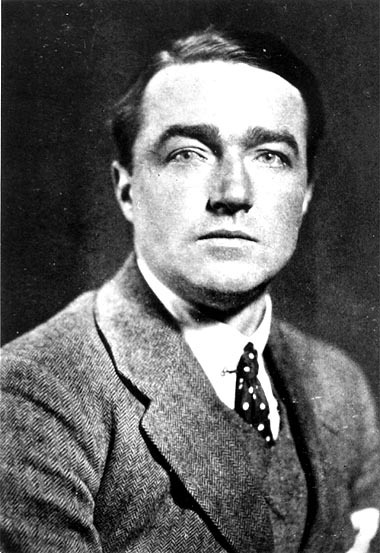 Unarguably the most important British composer to see active service in the Great War was Ralph Vaughan Williams. A close friend both of Holst and Butterworth, and a mentor to Bliss, Vaughan Williams was born in Gloucestershire in 1872 and enlisted in the Royal Army Medical Corps in September 1914, where he was made a wagon orderly on account of flat feet. His Field Ambulance unit eventually went to France in late June 1916, just ahead of the Somme offensive. Their destination proved to be the hamlet of Ecoivres, nestling beneath Mont St Eloi, topped by the picturesque ruins of a 7th century abbey. To the south the thunderous eight-day preliminary bombardment already in progress. It was from Ecoivres that Vaughan Williams set out with his ambulance to collect the wounded, brought back from the line on a military tramway, and there that the contemplative Pastoral Symphony began took shape in his mind: "It's really wartime music - a great deal of it incubated when I used to go up night after night with the ambulance wagon at Ecoivres, and we went up a steep hill and there was a wonderful Corot-like landscape in the sunset. It's not really lambkins frisking at all, as most people take for granted." The sound of a bugler practising at Ecoivres became part of this landscape, and inspired the long trumpet cadenza in the second movement of the symphony. Very few pieces of Great War music can be pinned to a specific location, and a visit to Ecoivres does not disappoint. The presence of the field hospital is betrayed by the large military cemetery, while much of the area remains wooded and undeveloped. Looking up from the cemetery to the magnificent Augustinian ruins on Mont St Eloi, a legacy of determined German shelling in 1915, and you view a landscape little changed from that seen by the composer the following year. 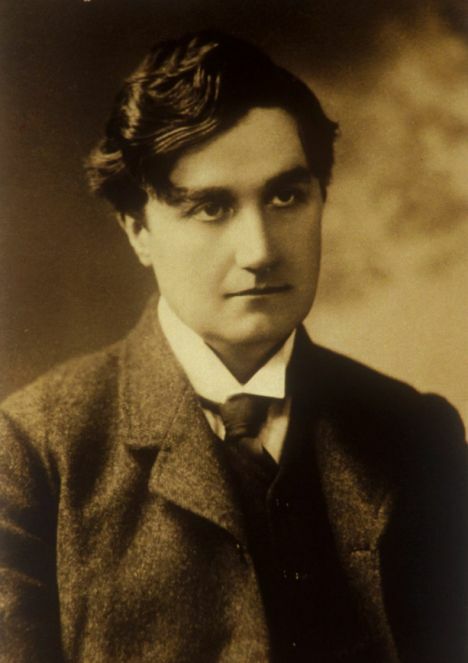 Vaughan Williams later served in Salonika, joined the Royal Garrison Artillery in 1917, and in December 1918 became the First Army's Director of Music. He went on to become arguably the most important English classical composer since Purcell, completing nine symphonies (the Pastoral in 1922), six operas and a huge volume of choral and vocal music. After the outbreak of the Second World War RVW broadcast to the nation on the role of the composer in wartime, and did his bit by driving a horse and cart around Dorking, collecting scrap metal and salvage. Muir Matheson, musical director at the Ministry of Information, found him somewhat depressed by his inability to play a fuller part in the war effort. This lead to him scoring several propaganda films, notably 49th Parallel (1941), Coastal Command (1942), The Flemish Farm and The People's Land (both 1943), and Stricken Peninsula (1945). His superlative music for Scott of the Antartic (1948) spawned his Sinfonia Antartica four years later. The Prelude is included here since it offers a musical portrait of men struggling to survive in a hostile landscape, for which RVW must surely have drawn from his Great War experience. His bleak, sometimes disturbing Sixth Symphony (1948) is often interpreted as a response to the Second World War, and of it Sir Malcolm Sargent noted 'I never conduct the Sixth without feeling that I am walking across bomb sites.' Ralph Vaughan Williams died in 1958, having suffered from increasing deafness in his later years, an unfortunate legacy of his service in the Royal Garrison Artillery. Although In Parenthesis is rightly considered to be one of the major poetic works of the Great War, it was not published until 1937. David Jones (1895-1974) studied painting at Camberwell Art School before war broke out, and in January 1915 enlisted in the 15th (London Welsh) Battalion Royal Welch Fusiliers, having been rejected by the Artists Rifles and the Welsh Horse. Jones shared a regiment with Siegfried Sassoon and Robert Graves, but unlike them remained in the ranks, and did not serve in the same battalion. He arrived in France at the end of December, and on 11 July 1916 was shot in the leg during an assault on Mametz Wood. He returned to his unit at the beginning of 1917 and took part in the opening stages of Third Ypres (also known as Passchendaele), but was invalided home after contracting trench fever in February 1918. Among the war poets only Herbert Read spent as long in the front line, yet throughout this period Jones continued also to sketch and draw, though never as an official war artist. After the war Jones expanded his palette to cover watercolours and copper engraving, including a period with Eric Gill in his craft communities, but was haunted by his war experiences and suffered a breakdown in 1932. For the next five years he largely withdrew from art, and worked instead on In Parenthesis, the long poetic word-painting which won the prestigious Hawthornden Prize in 1938. The poem is in seven parts and deals with events Jones 'saw, felt and was part of' between arriving in France in December 1915 and the bloody assault on Mametz Wood the following July, progressing from rote training to chaotic battle. A unique and difficult work in an unusual form, In Parenthesis gains much in performance and has been adapted for radio several times. Main credits as track two. Attack was written by Sassoon in about October 1917. This reading, by Sassoon himself was recorded in the early 1950s, and appears by kind permission of his late son George Sassoon. 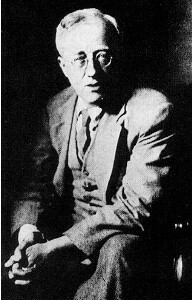 Gustav Holst (1874-1934) was repeatedly rejected for military service on grounds of ill-health, but managed to compose his deathless astrological suite The Planets, first performed in September 1918. It includes the highly topical Mars, the Bringer of War, written in August 1914. 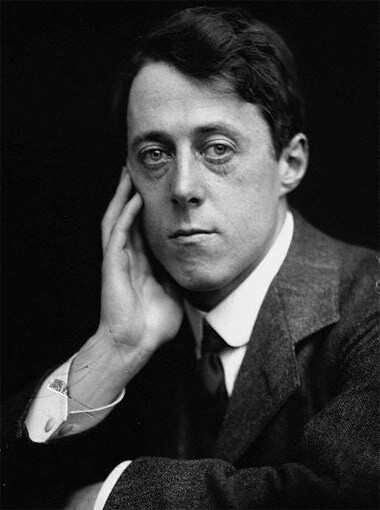 This version was recorded on 22 June 1926 by the London Symphony Orchestra, conducted by Holst himself (WAX 1671/2), and is striking both in its brevity and insistence on certain rhythms which modern interpreters often smooth out. Wartime xenophobia obliged Holst to drop the 'von' element from his name. 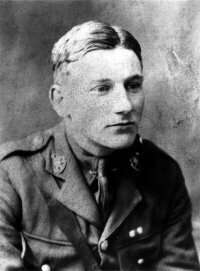 Edmund Blunden (1896-1974) published his first volume of poems as war broke out, and was commissioned into the Royal Sussex Regiment in August 1915. Posted to France in the spring of 1916, he went on to spend almost as much time in the front line as David Jones, including spells on the Somme and the 'slow amputation' of Passchendaele, and was awarded the Military Cross. 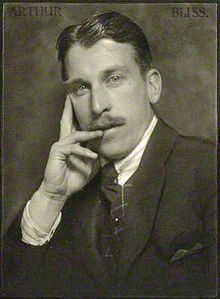 Demobilized in February 1919, Blunden briefly attended Oxford before devoting himself to poetry and literary journalism, and won the Hawthornden Prize in 1922. 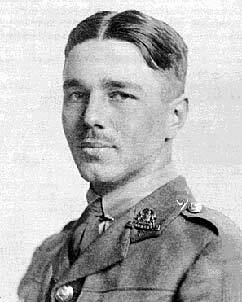 Like his friend Sassoon he eschewed modernism in favour of a natural, Romantic style, and although a lesser (and less embittered) war poet that Sassoon and Owen his reputation remains secure. His 1928 memoir Undertones of War is also an acknowledged classic of its kind. During the Second World War alleged pro-German sympathies landed Blunden in hot water, and in July 1940 his Oxford home was raided by police. After his superiors at Merton College expressed concerns at the degree of adverse attention, Blunden hastily volunteered his services to the Oxford University OTC, and for the next four years was employed as a map-reading instructor. Three volumes of poetry reflected the darkness of the age, and during the first year of the war Blunden acted as a valuable mentor to his student, Keith Douglas, who went on to become one of the best of the new generation of British war poets. Born in 1894, Ernest Moeran was raised at Bacton in Norfolk, where his father was the parish vicar, and schooled at Cromer and Uppingham. There he developed into a fine pianist and useful violinist, and in 1913 enrolled at the Royal College of Music. When war broke out Moeran returned home and enlisted in the Norfolk Regiment, in which he was later commissioned. 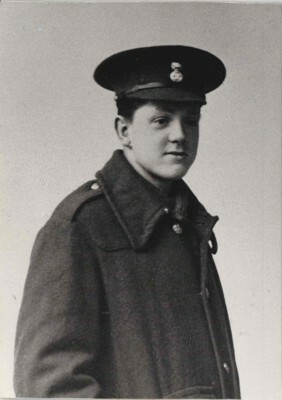 In 1917 Moeran went to France, where he was attached to the West Yorkshire Regiment, and wounded at Bullecourt on 3 May. For years successive biographers claimed that Moeran received a severe head wound which left shrapnel embedded too close to the brain for safe removal, and required the fitting of a metal plate inside his skull. However his army records refer only to a 'small gunshot wound' to the side of the neck, and a piece of shrapnel in his back, later removed. By the middle of August Moeran was declared 'free from any inconveniences' by a medical board and seconded to the Bedfordshire Regiment, at this time on garrison duty in Ireland around Boyle and County Roscommon. It was here that Moeran came to be bewitched by the Irish landscape which would later inform many of his best compositions. In October 1918 he tried out for the newly-formed Royal Air Force, but after two months was returned to a reserve battalion of the Norfolk Regiment, and discharged in January 1919. The composer appeared accident-prone for the rest of his life, frequently colliding with objects or falling over, and was often found in varying states of instability or stupor usually blamed on drink, to which he became partial. The case for the critical head wound remains Not Proven. Moeran finally settled in Ireland, but from 1947 onwards his mental health began to deteriorate, and by 1950 he had taken to disappearing for periods of time. In a letter to his mother Moeran admitted that lucid moments were becoming few and far between, and that he was afraid of being certified insane. On 1 December 1950 a violent storm blew up, during which Moeran was seen to fall into the sea from the pier at Kenmare, and was found dead by a rescue party. The cause of death was given as a cerebral haemorrhage, perhaps the legacy of wounds sustained on the Western Front, although suicide also remains a possibility. Based on a fragment of a Norfolk folk song, Lonely Waters was first sketched out in 1925 (with a dedication to Vaughan Williams) and remains as darkly enigmatic as its composer. The youngest of the war poets, John Edgell Rickword (1898-1982) enlisted in the Artists Rifles in September 1916, and following officer training was gazetted to the Royal Berkshire Regiment. Initially he was sent to Ireland, but arrived in France in December 1917 and first saw action two months later in the Fleurbaix sector, south of Armentieres. The weather was particularly severe, with biting cold, hard frosts and deep snow, and it was here that the poet was inspired to write Winter Warfare, his best known verse. Twice wounded before the Armistice, Rickword survived the war only to lose an eye following an accident in December. His poems were published in several periodicals at the time, and collected as Behind the Eyes in 1921. In peacetime he became a declared radical and Communist, editing several leading literary and left-wing journals and visiting war-torn Spain in 1938. This recording was made by Edgell Rickword in the early 1970s and issued on a privately pressed 33 rpm 7-inch single by Plantagenet Productions (Newbury) in the Poet's Choice series. It appears here by kind permission of Dr Jane Grubb and The Carcanet Press Limited. RVW credits as track six. Performed by the Royal Philharmonic Orchestra conducted by Sir Adrian Boult. Ivor Gurney was born in Gloucester in 1890, the son of a tailor. His musical talents were recognized at an early age, and in 1911 he won a scholarship to the Royal College of Music in London, where he studied composition with Sir Charles Stanford. Although teacher and pupil often clashed, Stanford later wrote that of all his pupils, who included Vaughan Williams, Ireland and Bliss, Gurney was potentially 'the biggest man of them all' while adding that he was also 'the least teachable'. Gurney also began to write poetry, but in 1913, aged 23, began to show signs of serious depressive illness. His army career was unhappy. Early in 1915 Gurney joined the Gloucestershire Regiment, and went to France in May the following year. In June he wrote home of a 'strafe' which had lasted over an hour: "It left me exulted and exulting, only longing for a nice Blighty that would take me away from all this and leave me free to play the G minor Prelude from the Second Book of Bach. Oh for a good piano! I am tired of this war, it bores me. But I would not willingly give up such a memory of such a time." By jagged Malvern with a train, Cotswold or Malvern, sun or rain! In April 1917 Gurney was lightly wounded, and at the end of the month transferred to the Machine Gun Corps. In August his unit moved from the Somme to Ypres, where the following month he claimed to have been gassed and was returned to England. 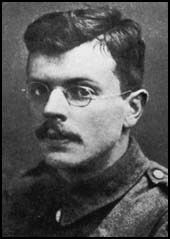 Gurney never returned to the front, but published two volumes of poetry before the Armistice, Severn to Somme and War's Embers, the latter including his verse masterpiece To His Love. The years 1919 to 1921 proved exceptionally productive in terms of both music and poetry, but during 1922 his mental condition began to deteriorate rapidly. Gurney now began to imagine that 'electrical tricks' were being played on him, much alarming his brother by holding a cushion to his head as protection against harmful waves beamed in through the wireless. This retreat from reality fast became a rout. He became obsessed with digging, gymnastics, self-starvation, washing and enemas, all of which suggest a high degree of self disgust, perhaps aggravated by a sense of guilt at having survived the war, and having 'wangled' his escape from the trenches. After Gurney visited a police station to demand a revolver, desiring to shoot himself, he was committed to an asylum in September 1922. He died at the City of London Mental Hospital at Dartford in December 1937. "As one of those musicians who have fought German aggression in France, I should like to express my thanks to Edwin Evans and 'Musicus' for their championship of English music and their fight against the predominating influence of Germany at homeÖ I do not know whether as a class musicians have been less affected (except financially) than other professions, but when straight from being wounded on the Somme I went into a London concert hall and heard a public vociferously applauding a German soloist, it gives me furiously to think." "Although the war had been over for more than ten years, I was still troubled by frequent nightmares. They all took the same form. I was still there in the trenches with a few men; we knew the Armistice had been signed, but we had been forgotten. So had a section of the Germans opposite. It was as though we were both doomed to fight on till extinction. I used to wake with horror. I was now at last decisively to exercise this fear." In 1934 Bliss began to concentrate on ballet and soundtrack work, including the score for Korda's classic film version of H.G. Wells' Things To Come in 1935, and between 1942 and 1944 was director of music at the BBC. He was knighted in 1950, appointed Keeper of the Queen's Music in 1953, and died in 1975. Although For the Fallen is a landmark war poem, Binyon was never a soldier poet. In July 1915 he took his annual leave from the British Museum and went to France as a Red Cross volunteer, where he spent a month as an orderly in a French military hospital at Arc-en-Barrois. He returned to Arc the following year, and in 1917 undertook a lengthy tour through various sectors to report on Red Cross work for a fundraising book, For Dauntless France. Largely unknown until 2002, Cecil Coles (1888-1918) was a friend and protege of Gustav Holst. He attended George Watson's College in Edinburgh and then Edinburgh University as a music student, followed by an extended period of study and work in London and Germany. His most important surviving piece, Fra Giacomo, was written between 1913-14 while Coles toured with the Beecham Opera Company as chorus master. In 1915 he enlisted in the Queen Victoria Rifles and became their bandmaster, but was killed on 26 April 1918 in the Somme sector while bringing in wounded. While in uniform Coles continued to compose, and his four-movement suite for small orchestra Behind the Lines was begun in November 1917. Two of the movements - The Wayside Shrine and Rumours - were lost, but manuscripts of Estaminet de Carrefour and the funereal Cortege were later discovered by his daughter and finally recorded eighty years after his death. In 1919 Holst dedicated his moving setting of Walt Whitman's Ode to Death to Coles and the other fallen. Not a poet, and certainly no singer, Edward Dwyer nonetheless provides a fitting end to this audio collection, since this priceless 1915 recording appears to be the only one made of an ordinary soldier describing his experiences while the war was still in progress. 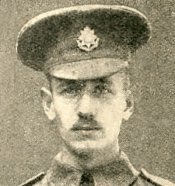 As a private in the East Surrey Regiment, Dwyer was awarded the Victoria Cross after 'dispersing the enemy by the effective use of his hand grenades while subjected to a hail of bombs at close quarters' at Hill 60 near Ypres on 20 April 1915. A week later Dwyer was wounded and shipped back to England, where the diminutive hero was decorated, promoted and lauded as 'The Little Corporal.' These recordings (subtitled On the March and At the Front) were recorded circa December 1915 towards the end of the six months Dwyer spent assisting the national recruiting drive. In them he describes the grueling retreat from Mons in 1914, the vagaries of army pay and field rations, trench living, and the art of bombing. He also treats the listener to several snippets of popular marching songs, and castigates 'slackers' and draft dodgers. Dwyer was killed in action on 3 September 1916 while leading his men in an attack near Guillemont on the Somme. The original 78 rpm record was released in January 1916 on the Regal label (G7228) as a fundraiser.